In this guide you will learn how to tweak the default Falko mail guide for Postfix (+Auth SMTP + Quota), http://www.kreationnext.com/virtual_postfix_mysql_quota_courier, setup to better combat SPAM and allow a little bit of backward compatibilty of the older Qmail systems. 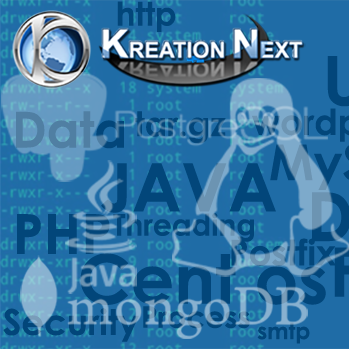 The kreationnext guide is great for everything however if you have a very busy mail server running Spam Assasin on 1000s of message per minute is a CPU killer. The best answer is to stop the mail before it hits Spam Assasin with a range of RBL (Realtime Blacklists) and RHBL (Same but different), Greylistings and Helo Checks. ### Can cause issues with Auth SMTP, so be weary! This alone will turn away spammers trying to send the helo command and impersonating either the server receiving the mail by IP or by hostname as well as turning away some of the mail that doesn’t meet RFC 2821 compliance. This file is needed incase a badly behaved mail server can’t send the correct helo and you need to allow mail to be accepted from that source. In my experience, things like standalone devices, CCTV camera are poor at complying to standards so you might need to make an exception for this. Moving down, we have /etc/postfix/sender_checks which allows you to bypass the various FQDN checks and allow a particular sender through. This is particular useful if a company runs an internal mail network such as domain.com but email runs on int.domain.com and there is no DNS setup int.domain.com, this is great for security but not great becuase external DNS doesn’t know about the internal structure and therefore postfix will reject the int.domain.com. Next we have our RBL checks. There are many websites dedicated to RBLs but to cut down the article length, simply put these lists are updated constantly and provide IPs and hostnames which spammers are using to relay mail. Each IP that tries to send mail to your mail server will be checked against these lists (4 used above) and if the IP isn’t listed in the RBLs, the mail server will accept the mail. Ofcourse servers find themselves on these lists all the time inadvertingly or the lists take 24 hours to remove the blacklisted IP after a spam outbreak so it is always best to once again have a way of bypassing these checks. The smtpd restrictions is very easy to follow, until one of the checks gives the green flag for the message to pass into the Postfix queue, most answering not sure move on unless an explicit NO is given the message will move down the list of checks. DJB (Dan Bernstein) developed an alternative to SMTP called QMQP. It is said to be faster with less overheads. So if you are replacing your old Qmail MTAs with Postfix you may need to enable support for QMQP.